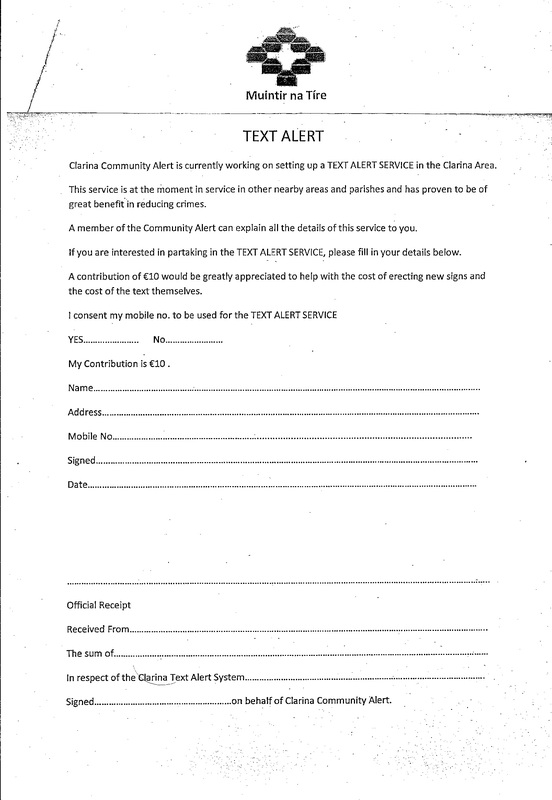 The Community Text alert system in conjunction with An Garda Siochana and Munitir na Tire is about to be set up. If anyone in the area wish to receive texts in relation to any suspicious activity they can contact any member of the Community alert Committee or attend the Community Resource on Monday 1st September 8:30pm. You can download the form from the link below. You can return it to any of the Community Alert Committee or you can drop it to the Community Resource Centre.